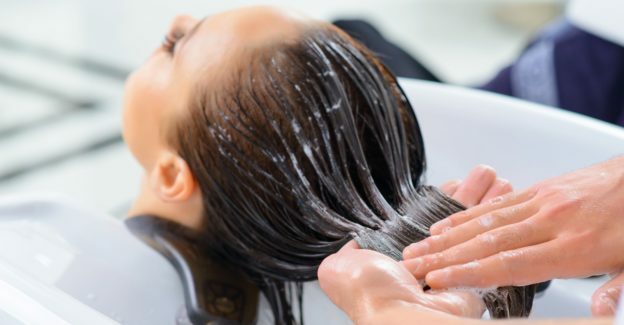 Viviscal UK Blog: Is It Good to Wash Your Hair Every Day? For most women, waiting a few days between washes is standard protocol. We’ve been told that washing hair every day strips those natural oils that make our hair healthy and beautiful. This concept is true for the most part, but there are benefits of washing hair frequently that many women haven’t considered. It usually comes down to personal preference. The short answer is: washing hair every day strips those natural oils that make our hair healthy and beautiful. Why and what to do? Continue reading. Shampoo’s main purpose is to trap the oils on your scalp, but it won’t differentiate between “good” and “bad” oils. While the bad oils include nasty things like dirt and product residue, the good oils that you naturally produce can provide moisture and protection for the skin and hair. Too frequent washing can dry your hair out, making it prone to breakage and split ends. The hair itself is dead, so washing it won’t kill it or cause it to fall out. It will make the hair look more and more lifeless. Washing hair every day should be avoided for the most part. Is It Ever Healthy To Wash Your Hair Every day? For some women, yes. There is a small percentage of women who need to wash hair daily. This could be someone with very fine hair, an oily scalp, or women who live in very humid areas. Other benefits of washing hair frequently are at a bacterial level. Although your natural oils can be beneficial to your follicles, they can also be harmful. If left alone, they can nourish the fungus that creates seborrhea, a condition that creates a scaly, patchy scalp. Definitely not something you want for any amount of time. Women with oily scalps are more susceptible to this and will most likely need to be washed every day. A general rule of thumb is that the thicker your hair, the less frequently you need to wash your hair. For the average person, 2-3 days between washes is just fine. If you’re travelling to a humid place or doing any extra physical activity, you temporarily may need to wash more frequently. If your hair is styled, you can go a bit longer without washing. Making sure your hair is completely clean before you style it will help the style last. Never go more than 14 days between washing. Not only can hair and scalp feel grimy and even start to smell, but you also need to shampoo to help your hair grow. Shampooing plays a big part in helping to shed dead skin cells that pile up and can block pores. Washing the scalp boosts blood circulation, which helps stimulate hair growth. So is it bad to wash your hair every day? It really depends. There’s a lot of variation from woman to woman. So, in the end, you should go with your gut. If your hair feels like it needs a wash, give it a wash. You don’t need to stick to a strict schedule, just understand how your hair reacts to weather, physical activity, hair products and anything else that it might encounter.